With the interior painting done and the weather too hot to paint the exterior, I’ve been spending some time working on linens. 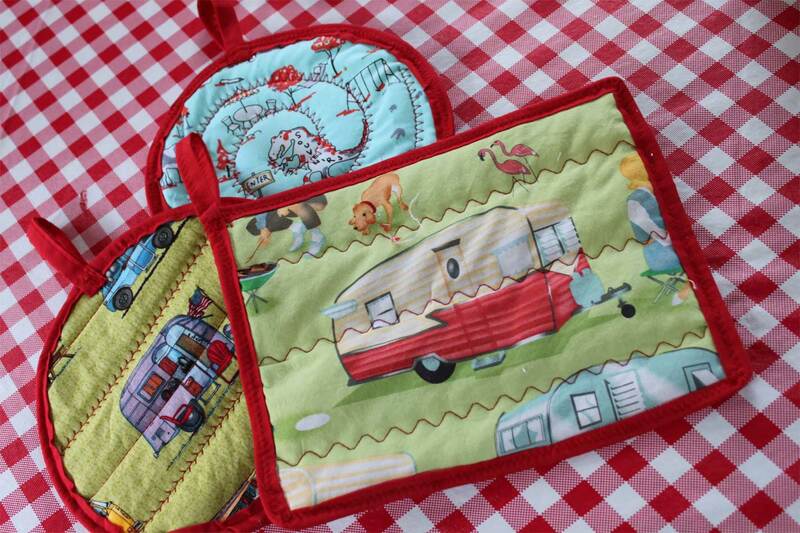 I made these little camper potholders, and I’m a little embarrassed that they are way cuter than the store-bought ones in my real kitchen. My real kitchen is red, too, so I might do a switch so I can use these more often! 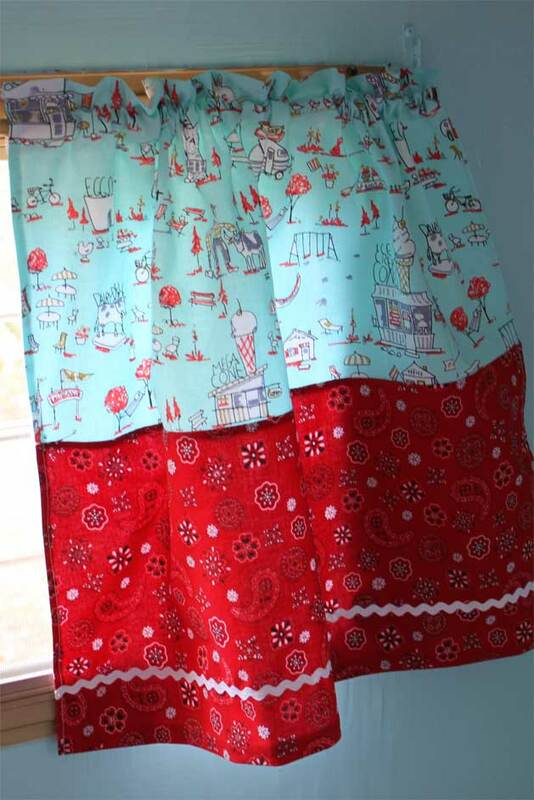 Now curtains! I don’t know if the print shows up well in the photos, but the blue upper has illustrations of campy (pun intended) vintage travel sights, including enormous fake dinosaurs and, of course, campers. I went to the trouble of lining these with an old white sheet for extra privacy, and so the sun won’t bleach the fabric as quickly. 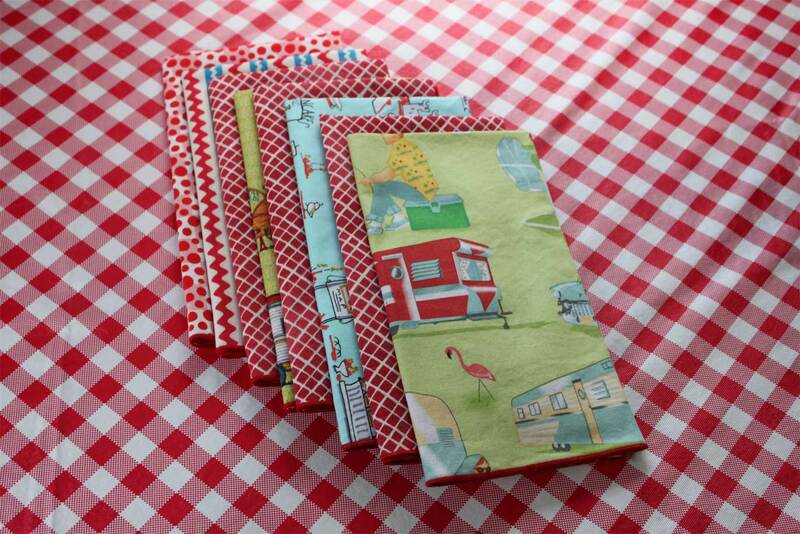 And a nice stack of cloth napkins, all set for the campfire marshmallow messes of the future.